With the release of Game of Thrones Season 8, many fans of the series may quickly turn to pirating the season premiere and consecutive episodes. This may unwittingly expose many users to malware and phishing attempts common on pirate sites and BitTorrent. The long night of waiting for HBO’s final season of Game of Thrones is almost over for fans of the show. HBO (somewhat awkwardly) dropped its most recent trailer during Super Bowl LIII, irreconcilably mixing the two worlds of Budweiser beer and the Seven Kingdoms. Thankfully, the trailer ended with Bud Light drowned in dragon flames, but the coming release of Season 8 brings us cycling back to another issue that’s as fiery in the industry as a Dragon’s breath: streaming piracy. HBO’s Game of Thrones series is one of the most pirated TV shows of the past decade. According to TorrentFreak, Game of Thrones was not only the most torrented TV show of 2017, it’s held that title for 6 years in a row. If a TV show’s popularity can be measured by how many people are stealing it, then Game of Thrones may well be one of the most beloved TV shows in a long time, if not ever. 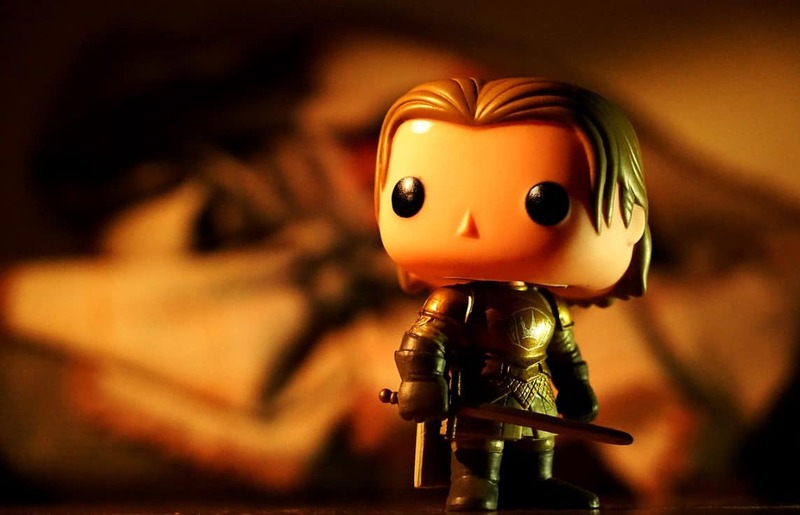 Additionally, a recent study from Kaspersky Lab reveals cybercriminals have been using popular TV shows, chiefly Game of Thrones, to more easily distribute malware to unsuspecting torrent users. Kaspersky Lab found, in particular, that the first and last episodes of seasons were preferred to transmit malware. Based on past history, there’s a good reason to believe that HBO’s hit show will once again be a favorite download among digital pirates. There’s also good reason to believe the first episode will likely be available on the same day as the season premiere, and much like with Season 7, will probably be watched more via piracy than through HBO’s official channel. Game of Thrones Season 7 premiered with over 10 million viewers tuning in but ultimately went on to be pirated tens of millions of times. There’s little reason to believe Season 8 will be any different, particularly considering so many TV watchers are more than happy to download illegal torrents of the show. Although Kaspersky Labs did find torrenting of TV on the decline due to more options for illegal streaming from alternative sources, such as file hosting sites, there will likely be more illegal torrent downloads for Game of Thrones season 8 than from previous seasons of the show. The huge jump in pirate streaming for Game of Thrones may come at a cost for some pirates, however. The urgency to download or stream the series through unofficial channels may lead some individuals toward piracy websites riddled with malware. Additionally, some torrent sites may harbor malicious attempts to get users to download malware alongside the video files for Game of Thrones, while many Game of Thrones torrents may be fake files intended to serve as a host to malware. There’s also the possibility that HBO will attempt to subvert illegal file sharing using what’s known as torrent poisoning, something the company was caught doing in the past with its TV show Rome. As internet security company Opswat notes, downloading entire video files (such as through torrenting) can pose some risk. Video files, including MPEG-4, AVI, and WMV, can be injected with malicious code, despite a common misconception that they cannot. Perhaps more easily, cybercriminals can do a “bait and switch” similar to torrent poisoning by disguising malicious programs as video files. Additionally, unsuspecting pirates and those new to pirating may incidentally download infected .rar files, believing these packaged files are necessary. A recently discovered vulnerability in WinRAR, however, means any Game of Thrones pirates downloading .rar versions of the show may be exposed to particularly vicious malware attacks. The bigger threat to anyone attempting to pirate Game of Thrones Season 8, however, will be phishing attempts on websites serving up illegal video streams, or through malicious ads placed on such sites. According to Google’s Transparency Report, phishing websites sites now vastly outnumber malware websites. The divide has grown since 2016 with no signs of stopping. To highlight the difference, Google’s Safe Browsing service deemed over 1.3 million websites “dangerous” on January 27, 2019. Of those, over 1.2 million were phishing sites versus around 60,000 malware sites. The problem with torrent websites and other pirating websites is that they’re a perfect place for bad actors to deliver their goods. Take, for example, the case of Kickass Torrents. In 2015, Google Chrome and Firefox flagged the torrent site as a phishing site due to phishing links posted by a community member. Most torrent sites have few safeguards in place to prevent community members from inserting phishing links — or even malware — onto the site’s forums. And there are also few safeguards in place to stop someone from seeding malicious files through torrent networks. Most torrent indexes, like The Pirate Bay, YTS.AM, 1337X, and RARBG, all have various systems in place that allow them to remove potentially malicious files. Nevertheless, a (notably limited in scope) 2018 study did find that around 20 percent of BitTorrent files carry malware, at least in regard to software and applications served through the P2P network. Considering many of these sites operate for free, users also run the risk of being served coin-mining malware by the site’s owners (as happened with the popular The Pirate Bay torrent site), or malware served through third-party on-page advertisements. These are results from external scans using third-party tools, however, and results vary dramatically. Only internal scans on such websites can effectively reveal their full threat status. Most of the indexing sites digital pirates are likely to use to obtain Game of Thrones Season 8 are operating with the more secure HTTPS protocol, adding one layer of protection. However, the BitTorrent network, as a whole, cannot protect users from malicious files, while it’s still possible for the torrent site owners themselves to either insert malicious files or for third-party ads to carry malware on these sites. It’s easy to perceive digital pirates as extremely savvy regarding the dangers associated with using illicit websites. However, overconfidence can play a role, especially when it comes to certain types of web users. In particular, those utilizing Linux and MacOS operating systems commonly believe they are immune to malware. While it’s true that both operating systems have a smaller percentage chance of getting infected, they’re not immune. For users of both operating systems, fake installers are a key threat. Installers are completely unnecessary for torrented video files, but it’s possible for cybercriminals to insert installer files alongside a Game of Thrones video file. Most torrent indexes would likely flag and remove these, but not all. Windows users may also fall prey to malware in torrent networks and on index sites due to overconfidence and undeserved trust. The earlier mentioned examples of malware and phishing served through The Pirate Bay and Kickass Torrents highlight why a general wariness with these sites is necessary. Additionally, the fevered pitch surrounding Game of Thrones Season 8 is likely to lead to a bit of a rush to download, watch, and discuss each of the season’s episodes. Considering the strong desire many will have to avoid the rain of spoilers on social media, it’s likely some will fail to take the necessary precautions required when using such websites and file-sharing networks. Ultimately, however, there’s always a risk when utilizing any torrent site that champions digital piracy, or when connecting to and downloading files from P2P networks. Most have a history of serving malware, especially for pirated files. Digital piracy happens for a number of reasons. Some turn to it because the content is unavailable where they live. Others, because they can’t afford access to the streaming sources offered by the content provider. There are also those in the pirating scene who stand on what they believe to be moral grounds against the concept of copyrights. Considering roughly half of internet users aged 18-34 (a combination of Millennials and Generation Z) state they’ve pirated a TV show in the past, there’s good reason to believe many will at least consider pirating the upcoming Game of Thrones season. Nonetheless, Game of Thrones is an HBO property, and HBO has every incentive to not only make money off of it but to provide as easy access to the show as possible without shooting itself in the foot. HBO Now is HBO’s standalone streaming service. Normally $14.99 per month, HBO also offers a 7-day free trial for the service. If you take advantage of the various free trials you can watch the entire Game of Thrones season 8 free online using official broadcasters.